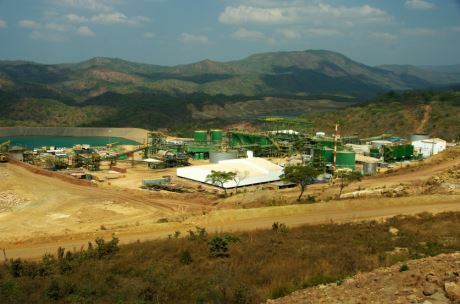 Malawi's only operating uranium mine is to be placed in care and maintenance pending a recovery in global uranium prices, Paladin Energy has announced. In a statement to the Australian Securities and Exchange Commission, Paladin said that although Kayelekera has been operating at or near nameplate capacity over the past 12 months, low prevailing uranium prices have meant that the mine has been operating at a continued loss. Uranium production at Kayelekera started in 2009 and the mine produced an output of 1134 tU in 2013, although its mid-year 2013 cash costs were reported to be $39.20 per pound U3O8. Based on current spot uranium prices of $35 per pound, Paladin estimates it would have needed to pay out an estimated $20-25 million per year to keep operations going for the next two years. Paladin CEO John Borshoff said the company was no longer able to continue to provide the level of financial support necessary to maintain the loss-making operations. Ore processing is to continue at the open-pit mine during a rundown phase, until all reagents and consumables already on site have been used up, and the production circuit emptied and cleaned. After that, the plant will be sterilised, shut down and placed on care and maintenance. The rundown and sterilisation phase is expected to be completed by April-May. The company expects ongoing costs for the plant while under care and maintenance to run to approximately $12 million per year, which will be funded from the sale of uranium oxide already on hand and produced during the run-down phase. It is revising its production estimate for the 2014 financial year down from 8.3-8.7 million pounds U3O8 (3193-3347 tU) to 7.8-8.0 million pounds U3O8 (3000-3077 tU). Paladin has been striving to implement cost reduction initiatives at the mine and recently agreed a refinancing package for its operations in Namibia and Malawi to enable it to reduce its debt repayments. One of two major projects earmarked for completion at Kayelekera during the 2013-2014 financial year - the installation and commissioning of a nanofiltration acid recovery plant - has been completed. A second project to connect the operation to the national power grid, allowing significant reductions in Kayelekera's power costs, has not been completed. However, Paladin says that even had grid power been available the mine would still have been unable to turn a profit. The company says product and cost guidance for its Langer Heinrich mine in Namibia, which has a "significantly lower cost profile" than Kayelekera, will not be affected by the move. According to Borshoff, the company will not contemplate either the restart of production in Malawi or a currently suspended major expansion of Langer Heinrich until uranium prices "reach at least $75 per pound and are sustainable above this level." Borshoff described the decision to take Kayelekera off line as "prudent and sensible" to preserve value for shareholders and put Paladin in an advantageous position ready for the "when the uranium sector enters its next exciting phase of growth and profitability." Kayelekera is operated by Paladin subsidiary Paladin Africa Limited, in which the government of Malawi holds a 15% interest.